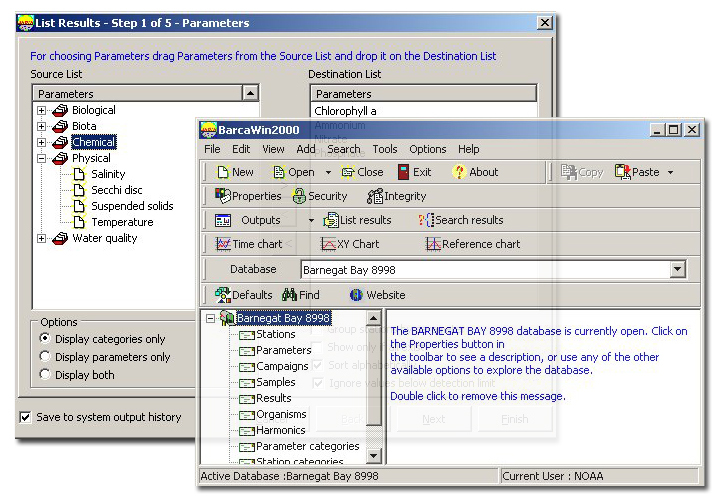 BarcaWin2000 (B2K) is a relational water quality database for storing and exploring water quality data for estuarine and marine systems, which includes the features most used in oceanographic data analysis. Extracts information for time series analysis, GIS input, relationships between water quality variables, model calibration, application of eutrophication indices, and much more - In short, BarcaWin2000 lets you turn data into information. If you would like to know more about BarcaWin2000 or have any questions talk to us.